There was a great line in the first episode of the new series 'Silicon Valley' where the leader of large (fictional) IT company observing his employees out of his window says “It’s weird — they always travel in groups of five, these programmers. There’s always a tall skinny white guy, a short skinny Asian guy, a fat guy with a ponytail, some guy with crazy facial hair and then an East Indian guy. It’s like they trade guys until they all have the right group.” As an evolutionary biologist my ears pricked up at this and I couldn't help thinking that this was a great example of where populations or communities can be different from one another in terms of genes but functionally the same as each other. That is that, despite some cosmetic differences between populations, the same stuff (say behaviour) gets done in each population. We like to think that as individuals the roles that we play in our communities (at home, work and play) are important and even unique. And at some level this is true. Nobody exactly replicates your roles and choices. However, at another level there are people just like you everywhere, playing similar roles and doing similar things. For example, I play a very large role in running junior cricket at Lincoln. I make sure that our introduction to cricket sessions are running through the season (and take them), I organise registration and oversee the formation of our Lincoln teams for the various junior cricket sections and make sure that there are coaches associated with these teams (and I coach one or two of these teams). And I play a similar role for our local youth cricket club as well. With Lincoln junior cricket I play an important, and possibly vital, role. The thing is that when I look at our other local clubs (Darfield, Kirwee, Tai Tapu and so on) I see the same thing. In all of these clubs there is someone similar to me organising the club. We are different people with different genes, we have different experiences and histories, and our clubs are structured differently but we are functionally the same, we play the same roles in these specific communities. Obviously, this same observation applies to other sports run by volunteers and probably to most other things that we do as humans. So communities everywhere are different but there is someone like me everywhere. Why stop at humans? In a paper by Hannah Buckley, Brad Case and Gavin Lear, with postgraduate students Julia Bellamy and Jack Lee, published in The ISME Journal, it turns out that bacterial communities work in a similar manner. 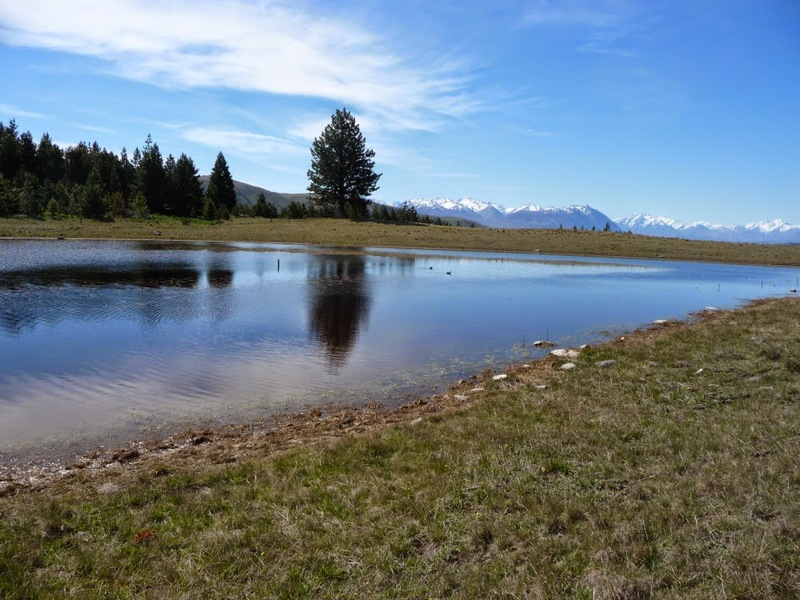 The Lincoln University team set up a study in freshwater ponds (more precisely kettlehole tarns) near Lake Tekapo. 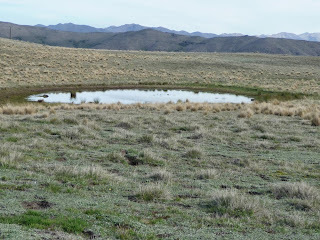 Each pond was around 3000m2 and shallow (up to 50cm in depth) and they were a few hundred meters apart. Over a hundred samples were carefully extracted from 5cm below the surface of these ponds. The identity of the bacteria in each sample was obtained by molecular analysis and community function was identified by measuring how well each bacterial sample assimilated carbon from the water. With this impressive data set, the team were able to make some surprising discoveries. Bacterial communities contained different bacterial strains/species when separated by 20 metres or more! So even within a pond, with clear water, populations are different within the pond. However, the team found that community function did not change much at all between these populations. 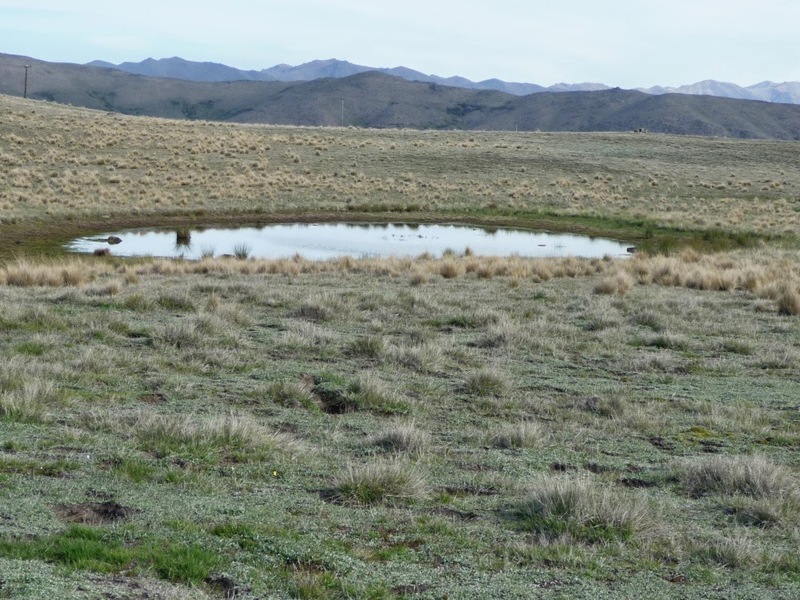 Each bacterial community in these ponds had different residents but these residents played similar roles to residents in other populations. The same stuff got done, in this case carbon was assimilated. So even in the microscopic world everywhere is different but there's one like you everywhere. I wonder which species is organising the interpond cricket? Annie Lloyd is a student from the University of California (UCSC) who is in the first group of students from UC participating in the Sustainability Program being run jointly by the UC Education Abroad Program and Lincoln University. 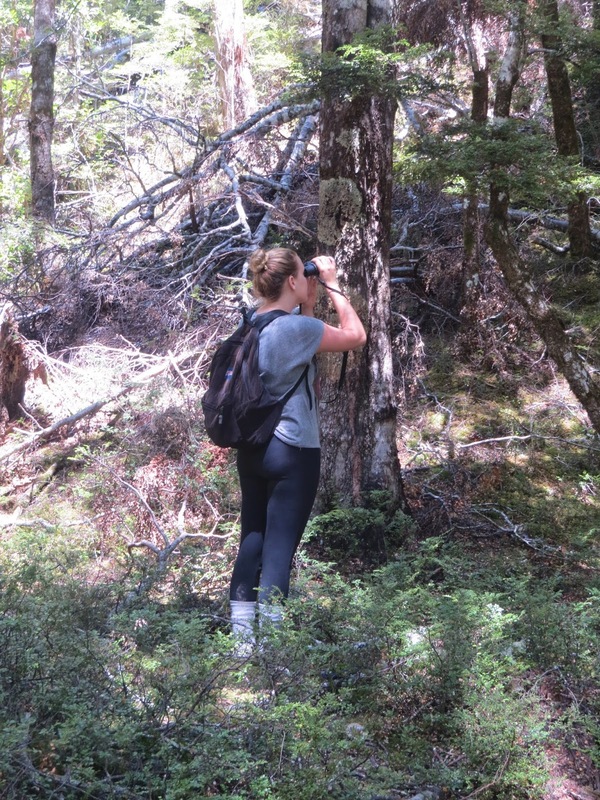 She took our Field Ecology course in January 2014 and these are her thoughts on that subject. rest and at the beach. I felt that my inspirations for my major would fit perfectly with the environment. However, my classes were not as involved in the landscape as I had hoped. I then decided to study abroad (which although exciting is a sometimes daunting task). I found myself searching for places that could supply me with new habitats and inspiration for a career in ecology. I had heard about New Zealand’s amazing fauna and I knew that I wanted to study in a place that was completely different to my home. In the end, I chose Lincoln University because of the Sustainability program. As I arrived in New Zealand I was greeted by a multitude of opportunities and adventures. I have been able to travel the country and experience new landscapes. The first week at Lincoln, Tim Curran, our lecturer, told us about ECOL 310 and I knew immediately that I wanted to take the course. At home, courses are much larger and the competition to be enrolled in a field research class is nearly impossible. I extended my stay here purely because I wanted the opportunity to do research in a new environment as an undergrad. The nine-day field trip to the Nina Valley spurred my desire to join the course even further. How could I pass up such an opportunity? Initially, I was extremely intimidated by the idea of having to come up with my own research project and actually execute it as well. But, I quickly learned that there was a huge support group, not only with the professors, but with the students also. I knew that I wanted to work with birds as I have been interested in the native bird species here since I first arrived in NZ. My project, “New Zealand Robin Population Distribution: Temporal and Spatial Variables,” consisted of doing bird counts in multiple sites. I was a beginner at all of this. I had taken courses back home, but we rarely went out in the field. I was finally participating in research methods I had only previously written about. Coming from a university of over 17,000 students, I had never seen so many professors participating in one course. I couldn’t believe how invested they were in the research as well as the students. The outdoor classroom felt like summer camp and the community we created was so instrumental in my being successful in the course. Students and lecturers alike helped with each other’s projects. 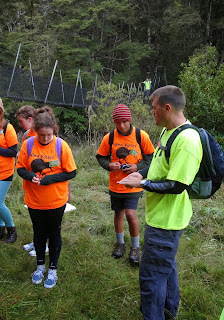 Tim and Adrian took three of us students working on bird projects for a hike through Nina Valley to collect data. Hiking through southern beech forests with such knowledgeable company while learning about how to be an ecologist was worth staying the extra semester. I am so grateful to have taken this course and to have been taught the practicalities of creating a career in science. Over those three weeks I learned more about what I wanted to do in the future than I thought I would. ECOL 310 gave me a much better understanding of what it meant to be an ecologist. The 2014 EcoBlitz was a great event held at the Boyle River and Nina Valley near Lewis Pass earlier this year. The event involved over 170 high school students (from 21 schools), 30 teachers, 24 Lincoln University students and 50 biologists. The attendees spent a weekend finding and cataloguing the diversity of the area with workshops on monitoring and talks on relevant concepts thrown in. It was a logistical triumph and a fantastic coming together of researchers and students. The event has been recognised at last night's New Zealand Green Ribbon Awards, held in the Banquet Hall of the Beehive in Wellington, where it won the award for Communication and Education (against 24 other projects) as well as the Supreme Award for best overall (blitzing the 113 other projects)! This is a great thank you to organisers Tim Kelly, Melissa Brown (Hurunui College) and Tim Curran, Cathy Mountier, and Jon Sullivan (Ecology, Lincoln University), Sarah Ensor, Brian Taylor, Danny Kimber (Department of Conservation), Sonny Whitelaw (Hurunui District Council), Steven Attwood (Convergence PR) and Wendy Davis (Boyle River Outdoor Education Centre). My wife recently got a glamourous pedometer that talks to her smart phone. Not only does it tell you how many steps she has made in a day, what distance she has done and when she has had high activity periods, it also allows her to keep track of what several other teachers from her school have been doing. It turns a reasonably harmless device into an excuse for fiercely competitive exercise as they try to outdo one another with the highest number of daily steps. The recommendation is 10000 steps per day and when that magical number is attained (usually by walking around our bedroom late at night to get the last couple of hundred steps done) little lights flash to celebrate. It's a neat idea to encourage people to do a bit more every day, especially since your mates can taunt you if you are having a good sit down. And the pressure is on every day in rather a relentless manner. 10000 steps each day is not difficult to get to but for most people it requires more walking than they would typically do. One assumption here is that we should be busy consistently expending energy every day and that doing little, being sedentary, is something that we should avoid. As scientists we should always question assumptions. In my field that usually means thinking about the evolution of a trait. So what did our ancestors do? When we think about our archetypal 'caveman' ancestors we picture hairy chaps running through the steppes after mammoths with crude wooden spears, burly lasses carrying hide bags of tubers through the forest, and muddy kids running wild across the heath. We look around us and see modern chaps tapping at keyboards, lasses sipping flat whites and kids in x-box trances. It seems fairly obvious that our ancestors were way more active than there modern counterparts. We also look around us and see symptoms of the problems - obesity, diabetes, cardiovascular disease and so on. Sedentary behaviour, despite the bad press, does have its uses: allowing time and opportunity for social interactions (making friends), pair-bond building (keeping a mate), knowledge acquisition allowing specialisation in societal roles (learning a trade or set of skills) and so on. So we do need sedentary behaviour to be functioning humans but perhaps now we have too much non-active time on our hands. 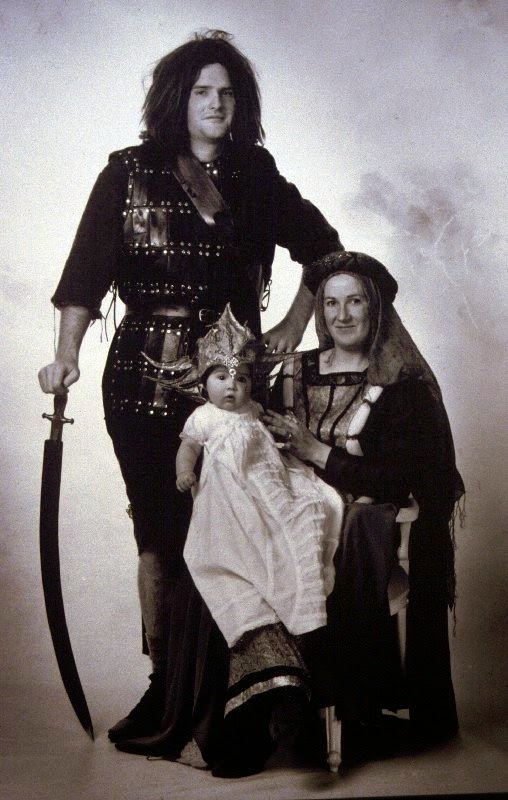 If we were more active then we could be more like our mighty-thewed ancestors. Well maybe. What traits do we inherit from our ancestors? There is increasing interest in the medical world in doing something about the outcomes of sedentary behaviour. This has lead to some discussion on the evolution of sedentary behaviour and whether it is now a maladaptation in modern societies, an adaptation that was useful in the past but is no longer effective or appropriate, like our craving for salt. In a paper on 'Sedentary behaviour and chronic disease' published in Perspectives in Public Health, Mike Hamlin, a sports and health researcher here at Lincoln, and I discuss this point. We looked at studies made of activity patterns in hunter-gatherer societies that have survived into modern times. It turns out that total daily energy expenditure between modern humans and hunter gatherers is not significantly different. Patterns of daily energy expenditure are different, in that our ancestors alternated days of high energy expenditure (chasing mammoths) with lots of days just sitting around (probably chewing the fat from the mammoths). Modern energy expenditure is a lot more even between days, without the extreme peaks and troughs (apart from prehaps the teenage phase?). One conclusion from this body of research is that problems like obesity are not necessarily because we have become more sedentary than our ancestors, but rather that we have much higher access to consummable calories. Another conclusion, backed by new research, is that short bouts of high intensity activity provides greater protection against chronic health problems than bouts of longer duration low-intensity exercise. So is my wife doing the right thing with her pedometer which encourages low-intensity exercise everyday? Probably not if she wants to become a mighty-thewed cave-woman. However, living in a modern society, it's a whole lot better than doing nothing extra. And you get to lord it over your colleagues when you take more steps than they do each week! The Big Biology quiz was held on Tuesday 3rd June at Lincoln University. Dr Tim Curran hosted the evening which saw 22 teams competing for the trophy. Questions ranged from a Darwin world safari to knowing your natives to marking great white sharks. Natural ability, as well as pizza and fizz, fuelled a very close race. The overall winners were Riccarton High School 'I Sat' team consisting of Sophie Madson, Teresa Winward, Ivana Querubin and Alysha McKeeman. Joint runners-up were defending champs Lincoln High School and St Bede's College with joint third going to Cashmere High School and Christchurch Girls’ High School. Well done to all of the teams!